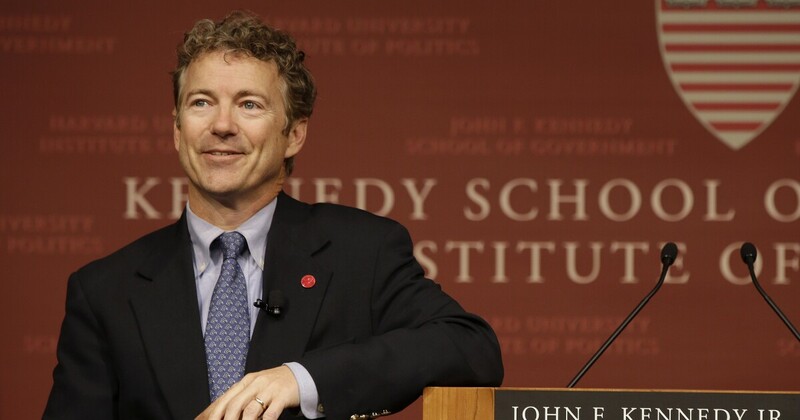 A t The US Conservative Annual Foreign Policy Conference in October, Beds Rand Paul, R-Ky., said "If you ask me who is the worst to spread hatred and try to create terrorism around the world, Saudi Arabia is falling down. " Paul compares Saudi Arabia with Iran as to which country should be considered a more threat to US interests in the Middle East. The Senator has in 1945 warned to send US military aid to alleged aliens abroad could end up in the hands of terrorists, as has repeatedly happened . On Monday, we learned that it had happened again. CNN reported that Saudi Arabia has given US-created weapons to groups linked to al-Qaeda . The Saudis have used arms sales to leverage the ongoing war in Yemen. In August, Washington Post reported "New Associated Press reporting from Yemen has made clear that the UAE and Saudi Arabia have been busy cutting secret deals with al-Qaeda fighters and paying some to leave key cities and cities and let others retire with weapons, equipment and armed cash … hundreds were recruited to participate in the coalition itself. "" Now, CNN shows that this is happening with US weapons. Anyone could have predicted it Saudi Arabia is, after all, America's first firearm . The weapons and equipment learned by CNN are in al Qaeda's possession sold by the United States under Obama The administration, although sales continue under President Trump. Paul has long been one of the most violent opponents of sending US weapons to Saudi Arabia under both democratic and Republican authorities, a position reinforced in many minds in the wake of the killing of journalist Jamal Khashoggi in October. 3 against armed Syrian rebels with American weapons and worried that they could end in al Qaeda. Guess what? It happened. May. Anas Ibrahim Obaid even told Fox News that he gave American weapons and trucks directly to al Qaeda. Paul worried that weapons which the United States gave to Libyan rebels in 2011 to overthrow the dictator Moammar Gadhafi could end up being used by terrorists. It was exactly what happened when the weapons ended in Syria. "Extremist warriors, some of those adapted to Al Qaeda, have the money to buy the new arrivals, and many rebels are willing to sell," New York Times reported in 2013. Eight years now, the United States has found ways to unintentionally finance the group that attacked the United States on September 11. Paul recalls this story on the Senate Monday in a speech against an amendment condemning President Trump's planned withdrawal from Syria and Afghanistan. "We've given [Middle East allies] trillions of dollars, the uniforms, the weapons, everything has been ours," Paul said. "But every time we say we're involved, there are unintended consequences." "In Syria, we gave weapons to people who were radical extremists," the senator said. "We gave weapons to people who were actually ally with al-Qaeda." "At one point, it was said that ISIS had a billion dollars worth of Humvees, which was the United States," added Paul. Let's forget that the United States has not just funded al-Qaeda indirectly, but also the Islamic state . "The arms that came out of Libya that Hillary Clinton supported bringing these weapons, they went to the wrong people," continued Paul. "We took a set of bad people and gave them another set of bad people." "Maybe sometimes there are no less of two evil?" He concluded. When does the US stop this devastating habit? How many times will arms sent abroad end up in terror hands before the leaders reconsider these policies? Maybe Washington politicians who are happy to limit gun sales will begin with themselves. Jack Hunter ( @ jackhunter74 ) is a contributor to the Washington Exam Beltway Confidential blog. He is the former political editor of Rare.us and co-author of the 2011 book The Tea Party goes to Washington with Sen. Rand Paul.